Build your career through trading, piracy, exploring new systems and eliminating your rivals in the other Leagues - phantom alliances powerful enough to challenge law and political order across the known universe. 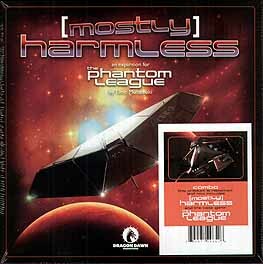 "Mostly Harmless" adds considerable depth to the Path of Fame and the Path of Infamy, while maintaining the original game's balance. Ample variants allow you to customize the play experience to your liking - you can make PvP less appealing, for example, or make the battles more deadly. New cards add vividness and detail to the 'Phantom League' setting. And additional captains and ships add to the already-high replayability.